3 Bedroom End of Terrace House For Sale in for Asking Price £285,000. 3 Bedroom End Of Terraced House, Open Plan Living With 3 Good Sized Bedrooms And Ensuite To Master Bedroom. Fitted kitchen with Integtared appliances to include oven, hob & extractor, washer/dryer dishwasher, fridge freezer. Britannia Gate is within walking distance of Bedford Hospital and Bedford Town Centre. Call 01604 664 380 today for more details! We are delighted to be working in partnership with WN Developments who are a family run construction company on their latest Bedford Development called Britannia Gate. Located off Palgrave Road which lies off Kempston Road directly opposite Bedford Hospital. The property comprises of a contemporary fitted Kitchen with some built in appliances, cloakroom, spacious lounge with doors to the rear aspect which opens onto the private garden. On the first floor are two double bedrooms and the family bathroom, on the top floor is an impressive master bedroom which boasts having an en-suite and walk in cupboard. Outside is a private rear garden and allocated parking. The property has the added advantage of coming with NO CHAIN. Viewings are strictly by appointment only, as the properties are currently under construction. If you have any questions on this property or development, please do not hesitate in contacting one of our friendly members of our team. WN Developments are proud to have launched their latest development in Bedford Britannia Gate. This follows on from the popular Omega Riverside apartment scheme which has now sold out. Britannia Gate is located just off Kempston Road on the site of the former Britannia Iron Works factory which opened in 1859 and closed its doors for the last time in 1932. The only remaining reference to the factory is the grade II listed Gate House which still stands today and is a constant reminder of the rich history of Bedford. Britannia Gate is centrally positioned and located directly opposite Bedford Hospital, within walkable distance to both the Mainline Railway Station and town centre. 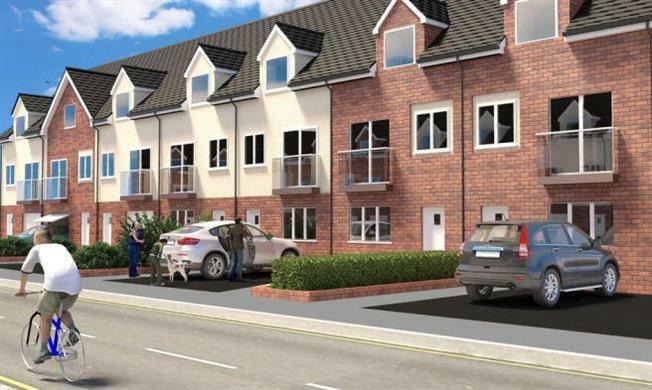 The development will consist of a total of 206 new homes ranging from 2 bedroom houses and apartments to 3 and 4 bedroom family homes, some with en-suites and garages, but all built with the customer in mind. Located in a prime position in central Bedford this exciting development offers easy access to Bedford Town Centre, the Cultural Quarter, and river walks along the Embankment. Bedford Main line railway station is within a short walking distance, offering a fast service to London, St. Pancras, and Kings Cross. Major road ways are also accessible to Cambridge, Milton Keynes and northwards towards Peterborough. The Main Bedford South Wing Hospital lies directly opposite the development, and is a major employer in the Bedford area. The new river bridge constructed on the site will give pedestrian and cyclist access to the opposite bank of the river allowing superb river walks, and fast pedestrian access to the Station. General Gillespie Garabaldi came to Bedford after achieving fame as one of the leaders of the Italian peoples liberation movement in 1864 and the new bridge will display a plaque commemorating this Italian hero who had a keen interest in the new technology of steam powered ploughing originating on the Britannia Works. WN Developments are a family run business established in 1987, a sister company of William Neville & Sons, a market leader in Irish construction industry (www.williamneville.ie) WN Development have a long standing reputation for both integrity and professionalism and this can be attributed to each Director active involvement in the day to day running of each of their developments from construction to handover to the customer.